BRISTOL SHOW: Eclipse to launch TD712z MK2 speakers at Sound & Vision Show | What Hi-Fi? The company has chosen the Sound & Vision show for the world launch of its high-end TD712z MK2 speaker. 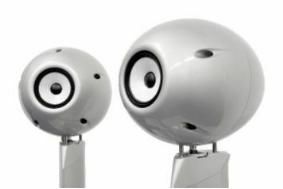 Being able to call upon the research and development expertise of fellow Fujitsu-Ten Group members Toyota and Fujitsu, Eclipse is promising great things from its new speaker. It's a single-drive unit, with a newly designed, integrated stand, a 20% larger cabinet and claimed sonic improvements across the board. For more information on the Bristol Show, which runs from Friday 20th to Sunday 22nd February at the Marriot City Centre Hotel, click here.